Naima was born with the idea of breaking away from other projects in wich the band members had been involved in previously. It was also understood that the group, as such, should have a certain degree of unity, beyond just the concept of theme and solo. Our aim was also to give each tune a coherent narrative structure. We wanted to provide fragile musical pieces with a solid background, these then conveying our interpretation independently; we just had to let go, play the tunes giving them epic thrust, sometimes with hidden drama, and comforting lyricism. RadioIndy is pleased to announced that we have published our CD Review of NAIMA music to CD Baby. FANS - Please checkout NAIMA online! 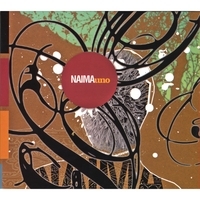 Radioindy has published NAIMA CD Review to Payplay.com. FANS - Please checkout NAIMA Payplay page and play / purchase some great new music! Copyright © PayPlay LLC. All rights reserved. NAIMA Press Release on Digg.com! RadioIndy is pleased to announced that we have published a music playlist and CD Review with NAIMA music (and similiar Big-Name Artists) to their Rhapsody artist page. RadioIndy is pleased to announced that we have published our CD Review of NAIMA music to Facebook. FANS - Please checkout NAIMA iTunes page play / purchase some great new music! RadioIndy is pleased to present NAIMA with a GrIndie Award for the CD "Uno"
“Uno” is the inspiring new release from the European contemporary jazz unit Naima. The group uses an abundant array of musical elements and styles for their exploration and improvisation, drawing from many different influences and sources. The musicians establish a picture with each tune, which is then designed and shaped by the interaction between the different instruments and nurtured to completion. A good example of this is the opening track “Bicho,” where the theme is first established by the piano and then developed by the other instruments. Listen to the fantastic interplay between the piano, soprano sax, and drums on the fiery “Totem.” “Ana” is a quieter, gentler track, possessing expressive melodies and a more delicate, understated interaction between the musicians. “Alas Cortadas” is also a tender piece, but has a definitive pulse and groove. “Sicalipsis” is another example of the fine interplay between the musicians, weaving their own musical comments throughout the tune while still complementing each other and staying within the given framework of the music. This is an impressive album to be enjoyed by fans of improvisational and contemporary jazz reminiscent of the style of Wayne Shorter.